Grew up… in Wales, in our world. His sister still lives there, and is disgruntled when her brother makes one of his seemingly random appearances. Living… in a castle in the fantasy land of Ingary. It’s no ordinary castle, though – it walks around, powered by the fire demon Calcifer. The castle’s movement has been known to frighten the residents of whichever town it happens to be near, but it has yet to venture into town itself. Profession… wizard. Howl is known by the residents of the small town Market Chipping to be very wicked, stealing and eating girls’ hearts. But he is commissioned by all sorts of people to do less frightening magic, like ensuring good wind for a fishing boat. Interests… his appearance. Howl is incredibly vain, and spends plenty of time in the morning putting on vanity spells and fixing his glamorous outfits. His cleaning lady, Sophie, once interfered with his beauty potions, and he threw a fit that involved summoning the spirits of darkness and dripping green slime. Relationship Status… unattached. Howl is a notorious heart-breaker, and he’s constantly going off to woo some girl or another, often bringing his guitar with him. He has yet to stay with any one girl for more than a couple weeks, though – hence his reputation of being a wicked heart-eater. Challenge… avoiding the curse the Witch of the West set on him. 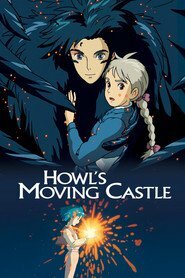 They have a past, but Howl moved on. Unfortunately, the Witch didn’t take kindly to that, and now she’s put a curse on Howl that he can’t seem to stop from coming true. He has hopes that Sophie – whom he believes is much more than a cleaning lady – can stop it. But he can only reveal so much, and Sophie might not figure it out in time. Howl's popularity ranking on CharacTour is #221 out of 5,000+ characters. See our top-ranked characters and read their profiles.